What's on Netflix > Netflix News > Is ‘The Shape of Water’ Coming to Netflix? Is ‘The Shape of Water’ Coming to Netflix? The Shape of Water is Guillermo del Toro’s brand new film set in the 1960s. But will this Fantasy Drama be coming to Netflix in the future? Below we have put together everything we currently know and estimated ‘If and When’ the movie will be coming to your screens. Guillermo del Toro has written and directed a substantial and quite impressive number of films, including Pan’s Labyrinth, The Hellboy franchise and Pacific Rim. The Shape of Water is one of his latest projects and was released in US cinemas back on the 22nd December. Since then the film has been received well by critics due to the masterful cinematography and the deep, rewarding feeling this film leaves you with. If you haven’t seen the movie yet, we’ll give you a little more background information. Sally Hawkins plays Elisa Esposito a mute janitor who works in a top secret research facility in the 1960s. But after she witnesses the arrival of an intelligent amphibious creature, Elisa develops a very unique relationship with the humanoid fish, and for the first time in her life finds someone who sees her for who she truly is. In order to save the Amphibian Man from going under the knife, Elisa hatches a daring escape plan. 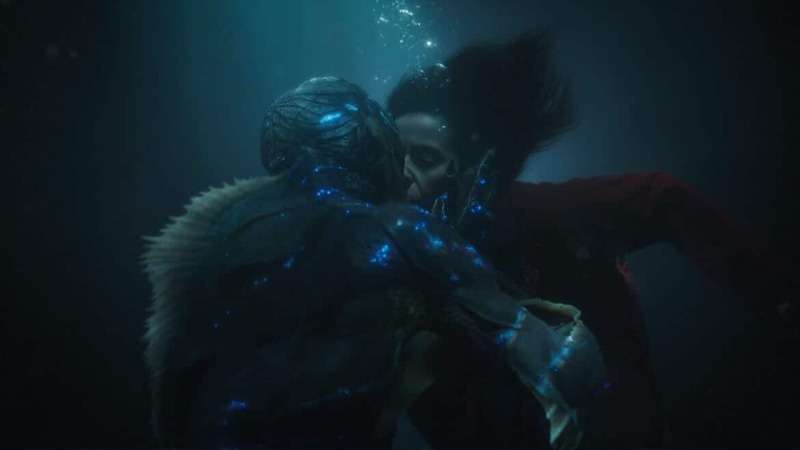 If any of you have watched the Hell Boy films you might see the similarity between Abe Sapien and the Amphibious man in The Shape of Water. In order to determine whether or not The Shape of Water will be coming to Netflix depends on a number of aspects. We often have to take a detailed look into the business behind the film, and who distributes/owns the rights. In this occasion TSG Entertainment and Double Dare You are the production companies behind the film and Fox Searchlight Pictures distributes it. Fox has had a bit of a bumpy relationship with Netflix recently, with them taking a lot of Fox shows and movies off Netflix. This doesn’t necessarily mean that The Shape of Water won’t come to Netflix, but it might be more likely to arrive on Hulu in the future. Another aspect that can help, is seeing if many of Guillermo del Toro’s other projects are available on Netflix. The director, writer and producer has actually been involved in a pretty recent Netflix Original, titled ‘Troll Hunters’, an animated TV series. But apart from that not too many of Guillermo del Toro’s films are available to stream on Netflix. Saying that though, Hell Boy was streaming on Netflix last year before it got removed. Of course, a limiting factor is other streaming sites like Hulu and Amazon Prime. It is perfectly possible that they could out-bid Netflix on exclusivity. At this moment we can say the probability of this film coming to Netflix is about 50/50 and only time will tell. Make sure to keep this page bookmarked, and if we hear anything about The Shape of Water coming to Netflix we will update the article.